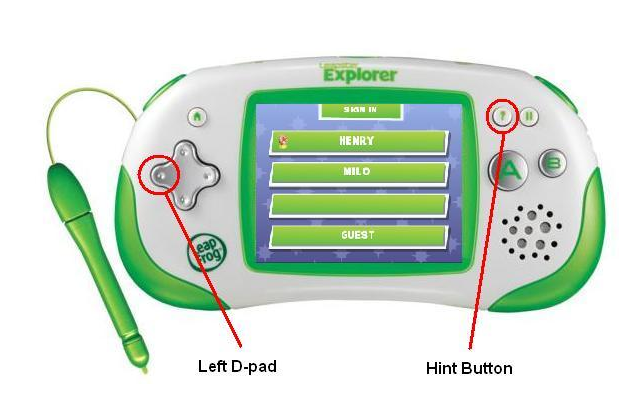 Turn on your child's Leapster Explorer handheld. When the SIGN-IN menu appears, press the left D-pad and Hint button at the same time. This will give you the PARENT SETTINGS menu. Select the Change Language icon (image of a world) and select your country.